Even with the flu vaccine, it’s possible to become infected by a new or unexpected strain of the influenza virus. Indeed, each year the flu vaccine is developed to target only what’s predicted to be the most prominent strain of the virus for the upcoming year, leaving many other minor viral versions out of the equation. Scientists are also now discovering that most flu infections are actually a mix of strains, living together as a colony. 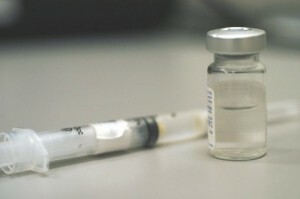 Elodie Ghedin, a professor in New York University’s Department of Biology and College of Global Public Health, emphasizes how this can impact those who have been vaccinated. She says that while flu vaccines do help protect against the major strains (which tend to sicken the largest group of people who come down with the ‘flu’), these minor strains and mixes elude the vaccine and can render the vaccination useless to those folks. “A flu virus infection is not a homogeneous mix of viruses, but, rather, a mix of strains that gets transmitted as a swarm in the population,” explains Ghedin. Article: Is the flu jab pointless? This new understanding highlights the importance of not relying too heavily on the flu vaccine – even if you are immune to the major virulent strains, you may not be immune to every strain in the colony. Even minor strains are readily transmitted between individuals, and the mixes of strains can bring minor strains into the spotlight. 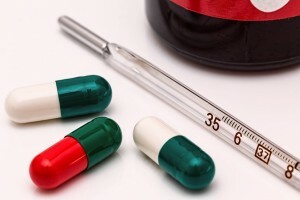 There are so many factors that can play a role into whether or not you’re likely to experience the flu that one must take other precautions to help boost immunity. At HSG, we can help you prevent colds and flus naturally by providing your staff with the right advice about boosting immunity and maintaining a healthy lifestyle. We offer Naturopathic Mini-Consultations where our Naturopath will come to your workplace to have 20-minute appointments with each person, seeing 3 people each hour. Non-invasive assessment techniques are used and lifestyle factors are examined in compiling individual profiles and providing personalised advice. Our service includes a complimentary online booking system available for your staff to schedule their appointments, and the collection/summary of feedback from participating staff. Contact us for more info or call 1300 889 073. Another thing we offer is group workshops about boosting immunity. While issues such as heart disease and obesity are common to both men and women, there are many other topics that are gender-specific and therefore we recommend holding separate health workshops for men and women. Learn more about our health workshops here.